​The Diocese of Hawai'i is both honored and thrilled to welcome our Presiding Bishop to the islands! The Most Rev. Michael Bruce Curry is the 27th Presiding Bishop and Primate of the Episcopal Church, installed on November 1, 2015. He was elected to a nine-year term and confirmed at the 78th General Convention of the Episcopal Church in Salt Lake City, UT, on June 27, 2015. Throughout his ministry, Presiding Bishop Curry has been active in issues of social justice, reconciliation, speaking out on immigration policy and marriage equality. He maintains a national preaching and teaching ministry, having been featured on The Protestant Hour and as a frequent speaker at churches, cathedrals, and conferences around the country and internationally. As Presiding Bishop, he launched The Jesus Movement, and arranged a series of "Revivals" in 2017 and 2018 to "equip Episcopalians as evangelists, and to welcome people who aren't part of a church to join the Jesus Movement." He has authored four books: The Power of Love (2018); Following the Way of Jesus: Church's Teachings in a Changing World (2017); Songs My Grandma Sang (2015); and Crazy Christians: A Call to Follow Jesus (2013). He was one of the subjects of In Conversation: Michael Curry and Barbara Harris by Fredrica Harris Thompsett (2017). He has authored numerous publications including columns for the Huffington Post and the Baltimore Times. In December 2018, he officiated at President George H. W. Bush's funeral that took place at the Washington National Cathedral. Kahu Kalani Souza is a gifted storyteller, singer, songwriter, film director/producer, poet, philosopher, priest, political satirist, peacemaker, mediator, and educator. A Hawaiian practitioner and cross-cultural facilitator, he has experience in promoting social justice through conflict resolution. His workshops and lectures inspire, challenge and entertain the listener while calling all to be their greater selves. He participated with The Department of Interior's (DOI) Native Network, a consortium of conflict resolution specialists with the Morris Udall Peace Center; consulted with the President’s Ocean Policy Task Force around the integration of indigenous knowledge and science; and collaborated in the conceptualization, planning, and implementation of the Pacific Risk Management ’Ohana, the Indigenous Knowledge and Environment Working Group, and NCAR/UCAR’s Rising Voices: Collaborative Science with Indigenous Knowledge for Climate Solutions. 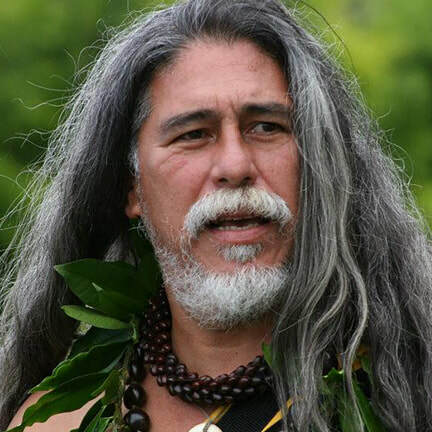 Kahu Kalani is a recognized traditional practitioner of Native Hawaiian and Pacific Island culture and licensed to practice traditional religion and ceremony. He is Founding Executive Director of the Olohana Foundation, a nonprofit that works with coastal and indigenous communities to build capacity around food, energy, water, and knowledge systems. Since 2013, the Rev. Jay Sidebotham has served as Director of RenewalWorks, a ministry of Forward Movement. RenewalWorks seeks to build cultures of discipleship in Episcopal congregations, with a singular focus on spiritual growth among congregants. He also serves as Associate Rector at St. James, Wilmington, N.C. Previously, Jay served as rector in Illinois and North Carolina. He served as Vicar of St. Bartholomew’s in Manhattan, and as Associate Rector at St. Columba’s in Washington D.C. and St. Martin’s, Rhode Island. A graduate of Trinity College, Hartford and Union Seminary, New York, he was ordained to the diaconate in 1989 and to the priesthood in 1990. Prior to seminary study, he worked in New York in animation, illustration and advertising. He appreciates the opportunity to produce cartoons for the wider church, describing the joys and challenges of parish ministry. His light-hearted cartoons have appeared in numerous church publications, along many of his own books. They are widely available online through Forward Movement, Church Publishing, Amazon and others booksellers. ​In his plenary address, Jay's topic is: "What we’re learning about the Episcopal Church through RenewalWorks: Spiritual Growth Opportunities for Reconciliation." To learn more about RenewalWorks and to view a video interview between Sidebotham and the Presiding Bishop discussing RenewalWorks, click HERE. ​Did you know that there are Indigenous Native American Episcopalians? Yes! But so often they are not seen or acknowledged. 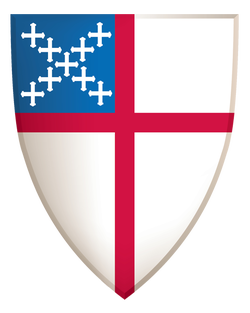 The complex relationship between the Anglican/Episcopal Church and the Indigenous people of the region currently known as the United States, will be reviewed from historical, theological and social perspectives. Beginning with the first contact Indigenous people had with European settlers and missionaries, and the subsequent genocide, the current situation of Indigenous Americans will be examined, both within the general population and the Episcopal Church in particular. Missionary strategies, both historic and contemporary, will be presented and evaluated. Indigenous Native American spiritual and religious beliefs and practices will be compared and contrasted, with a message of hopeful reconciliation and equal partnership for new life within the Beloved Community. ​The Reverend Dr. Bradley S. Hauff is the Indigenous Missioner for the Episcopal Church, a member of the Presiding Bishop’s staff. He was born and raised in South Dakota and is enrolled with the Oglala Sioux Tribe (Lakota) of Pine Ridge, as are both his parents. He received his Master of Divinity degree from Seabury-Western Theological Seminary, where he also served one term on the Board of Trustees. He received his Doctor of Clinical Psychology degree from the Minnesota School of Professional Psychology, and worked for a time in the mental health profession, specializing in Native American identity formation and domestic abuse interventions. He has been an ordained Episcopal priest for over 29 years and has served congregations in the dioceses of South Dakota, Minnesota, Florida and Pennsylvania. He has written published articles and made numerous presentations around the country on Native American issues. Have you ever wondered why people do what they do, say what they say, and why people think what they think? Discover and learn about the different ways we interact with each other in the life and worship of our church in Hawai'i, our island home. Hawai'i from the Philippines in 1946 to work in the sugar plantation and pineapple fields. College; a Bachelor of Science degree in Family Resources from the University of Hawai'i at Manoa; and a Master of Arts degree in Professional Counseling with an emphasis in Marriage & Family Therapy from the American School of Professional Psychology. 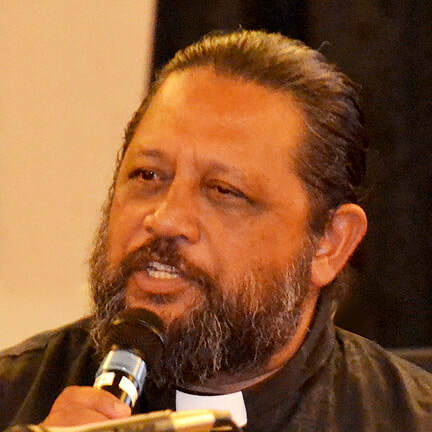 He is also a former ordained deacon in the Episcopal Diocese of Hawai'i. 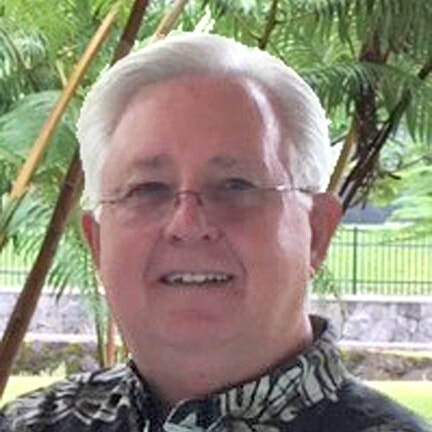 Currently, Mr. Melchor is the President for the National Federation of the Blind of Hawaii, Maui Chapter; a member of the American Counseling Association and the American Association of Marriage & Family Therapists. He is also employed as a Benefit Employment Support Services Specialist with the Department of Human Services, State of Hawaii. Hoʻoponopono is a Hawaiian process of healing. Every haku (facilitator) practices differently. This version began through the teachings of Mary Kawena Pukui, and is considered the "Kaʻu Family Method." This workshop will engage us in thinking through some of the vocabulary, values and processes of this dynamic family and individual healing process. ​Manulani Aluli Meyer is a native Hawaiian scholar-practitioner dedicated to the love of land and service of people. 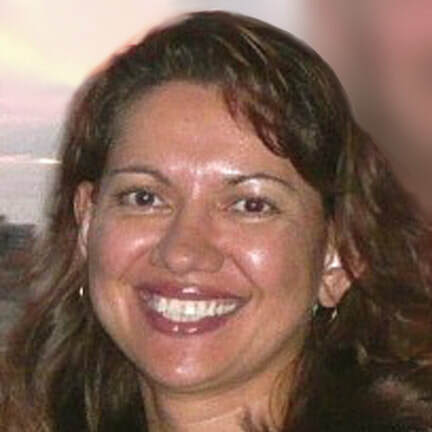 She is world-wide Indigenous scholar dedicated to expanding views of knowledge to better address the needs of our time. She earned her doctorate (Harvard, 1998) on the topic of Hawaiian epistemology - philosophy of knowledge - and remains dedicated to its capacity to inspire, instruct and heal. 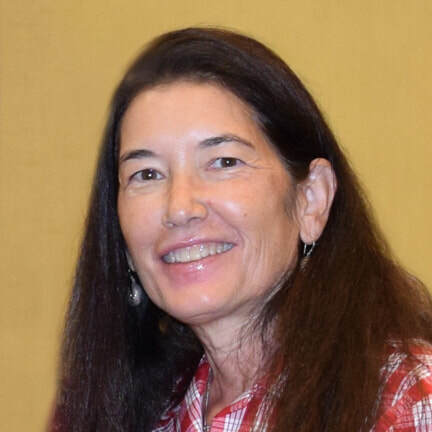 She is active in the Food Sovereignty, Aloha ʻĀina, EA Hawaii, and 'Ike Pono movements throughout Hawai'i, and she is now the Konohiki of Kūlana o Kapolei - a Hawaiian Place of Learning at the University of Hawai'i, West Oʻahu. She has been a Hoʻoponopono practitioner for 30+ years. ​In just one and a half hours, attendees will become conversant and comfortable with the major diversity and inclusion (D&I) topics (Race, Ethnicity, Culture, Heritage, Gender, Multi-Generational Diversity, Sexual Orientation, Religious Affiliation, Physical Ability, Socio-Economic Status) and learn to immediately recognize more obscure but important D&I infractions that daily occur among both clergy and parishioners, such as micro-aggressions, micro-inequities, biases (explicit and implicit) and more. In the small group workshop part of the session, attendees will be provided with an opportunity to present their own concerns, experiences and observations, and have other participants share their experiences along with possible solutions. Awareness, acknowledgement, and acceptance are preparatory steps for reconciliation. Handouts to reinforce the information provided will help guide the conversations. Major comments, repeated concerns, and observations will be noted and shared with the bishop’s office. 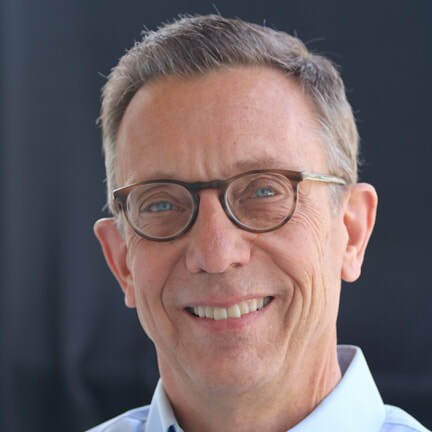 Author of twelve books, including the nine volume Standards of Knowledge management series, Jim Penny is also a speaker, trainer, consultant, coach, and e-Learning expert. Jim has held many senior level positions in corporate America and currently serves as Executive Director of the National Diversity Council and the National Training Center. Jim has spent more than a decade intensely involved with all aspects of diversity and inclusion and has spoken to, advised, and trained thousands across the country. His expertise ranges from helping build the case for diversity and inclusion to assisting organizations in the creation and design of multi-year D&I (diversity & inclusion) innovations and strategies. Much of his messaging is based upon and consistent with the National Diversity Council’s Diversity FIRST Toolkit™, the nation’s foremost repository of information for diversity professionals. "Talk Story with the Presiding Bishop"
Barbara J. Tanabe is the President, owner and managing partner of Ho‛ākea Communications, a public affairs company in Hawai'i. The former CEO of a major public relations agency, she is a communications and issues management specialist with 30 years of experience in public affairs, crisis & issues management, and broadcast journalism in the United States and Asia. After graduating from the University of Washington in the early 70s with a degree in Communications, Tanabe joined KOMO TV and became one of the first Asian-American women to anchor on the West Coast. She continued to push boundaries with groundbreaking stories, and made history in Hawai'i when she moved to Honolulu three years later to work at KHON TV. The year was 1974, when Tanabe became the first woman of Asian descent to co-anchor a newscast. While at KHON, she broke one of the biggest crime stories in Hawaii: a $380 million dollar Ponzi scheme that led to a CIA investigation. In 1987, Tanabe joined Hill and Knowlton Hawai'i, then the state's largest and oldest public relations company. She was named president in 1992 and chief executive officer in 1993. She has counseled clients in Asia and the United States in the areas of cross-cultural communications, crisis and issues management, marketing communications, and news and presentation training. Tanabe received the John W. Hill Award for Excellence, the firm's highest recognition for outstanding client service. In 2000, she founded Ho‛ākea Communications and continued holding key roles in the business community as a Director at Bank of Hawaii, and in the community as a founder of the Hawaii Institute for Public Affairs. 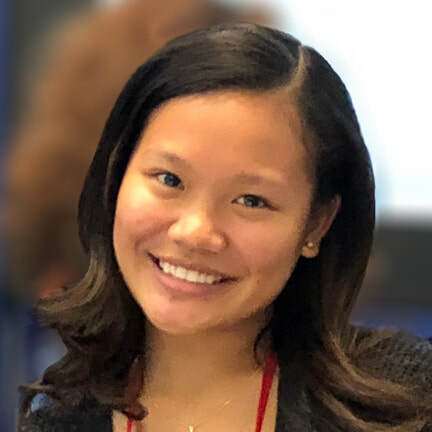 She remains actively involved in community and civic organizations, having served on numerous State boards and commissions and continues to receive accolades and awards for her work and service.